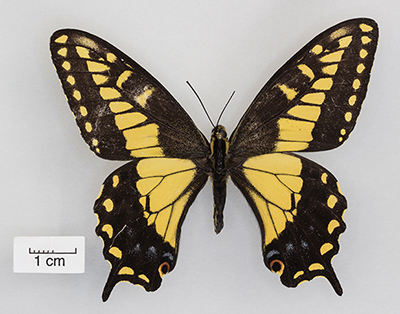 The SOU Insect Museum Butterfly Collection showcases digital images and field collection data of preserved butterflies (Lepidoptera sp.) specimens that were collected by students, researchers, and amateur collectors primarily from the Cascade-Siskiyou National Monument, Oregon, and other sites in the Klamath-Siskiyou ecoregion of Southern Oregon and Northern California. In all, the Southern Oregon University Insect Museum contains about 30,000 prepared specimens of insects collected from around the world.